This plant belongs to the succulent family. It is characterized by long pointed leaves. Aloe plants work best in room temperatures of about 70 degrees and a lot of sunlight. To have a healthy aloe plant, frequent watering should be avoided as it thrives best in dry soil. It can grow to about 3 feet high, although the smaller types like the aloe blossom in small indoor spaces that are well served by sunlight. The Aloe plant is well known for its medicinal function. This plant can survive in several lighting conditions. However, inadequate sunlight reduces the leaves’ variegation. It is known to survive in a variety of room temperatures. It has trailing stems that can grow up to 8 feet long. However, they can simply be reduced so that the plant appears neat and healthy. This plant purifies the air by absorbing toxins, for example, formaldehyde that can be found in carpets. This plant is characterized by thick, lush leaves and magnificent branches that are appealing to the eye. It thrives best in ordinary room temperatures, requires less water and bright light. It is known to have a longer growth span. This has got to be one of the most common indoor plants to be found in any household. It is characterized by white ‘flowers’ and dark green leaves. However, the flowers are not necessarily flowers but specialized leaf bracts that grow hooded over the flowers. It grows best in low humidity and medium to low light, making them suitable for rooms that have fewer windows. Furthermore, they require moist soil throughout. However, extreme care should be taken when watering peace lilies – do not overwater them. These plants are also popular in many homes. They are easy to grow and create pleasant surroundings. They are great air purifiers, as they can absorb toxins like benzene, formaldehyde, and even carbon monoxide. They are fascinating plants that have been around for a very long time. Even though most people see them as ordinary, dull plants, they are actually great air purifiers as they can get rid of toxins like toluene and xylene that commonly originate from substances like paint and glue. This plant is characterized by dinner plate-sized flowers that blossom during late summer and early fall. They flourish in moist soil and bright sunlight. They usually grow up to 8 feet tall. They are characterized by delicate blue, white, or purple flowers during spring. Even when not in bloom, the small clusters of foliage provide pleasant outdoor scenery. They thrive best under medium light and require well-drained soils. This is a loosely tufted clump forming grass with lance-shaped, arching mid green foliage that usually turns yellow during winter. During summer, they are characterized by highly decorative oat-like panicles of green flower heads that turn bronze by late summer. They require bright light and well-drained soils to flourish. They tend to grow up to 4 feet tall. This plant produces bright red trumpet flowers in mid and late summer. They thrive under full sun conditions, well-drained soils and can grow to 3 feet tall. The swamp lily is a top marsh plant that usually produces beautiful bunches of white or pink flowers from spring to fall and long, blue-green leaves. Conditions for growth are bright light and moist to wet soil. These plants produce beautiful bluish-purple, fragrant flowers. They usually grow to about 1 foot tall. They can be planted during fall for them to bloom during spring. Bluebells thrive in well-drained soils that are high in organic matter. This entry was posted in Gardening on September 15, 2016 by admin. Many people are gardening enthusiasts. They often want to grow fresh food for their own consumption or just make the environment beautiful and attractive. However, there are some hindrances to pursuing this, for example, living in areas that experience harsh winter seasons or in areas that have no space for any outdoor gardening. My husband and I live in London. The U.K in general experiences winter seasons that at times become severe. That did not stop me from coming up with an indoor garden. Indoor gardening can be done in the balcony, another adjacent building, in a greenhouse or even in the basement. Here are some guidelines that helped make my indoor gardening venture a success. The potting soil should go hand in hand with the particular type of plant. For example, plants like Cactus and Rosemary require soil that is coarse and well drained. The seedlings should be grown in a light, soil-less mix that can absorb and hold moisture. Others like Ferns prefer soil that has a high content of humus. A good potting mix consists of things like peat moss and vermiculite. These soilless mixes are good absorbers of moisture. They are also not easily invaded by pests and diseases. These mixes, however, do not contain nutrients. Therefore, a frequent addition of fertilizers is necessary. Other organic components such as composted peat or garden soil rich in nutrients can be can also be added to these soil-less mixes. The mix needs to be light to allow air and water to go through. Although most plants thrive when the humidity is at 50% or more, humidity ranges between 30 and 40 percent can also work. An exercise that would induce humidity indoors would be misting, though, the humidity won’t last long. A more suitable solution, one which helped me a lot, was the use of a cool vapour humidifier. For better results, the plants should be clustered together so that they humidify each other. It has been found out that most plants in indoor gardens die as a result of over-watering rather than under-watering. I must admit I’ve been a culprit when it comes to overwatering some of my plants. Plants will need frequent water when the weather outside is sunny. On the other hand, their water requirements will reduce during cold weather. When watering the plants the root ball needs to be drenched until water seeps out the pot bottom. This ensures the entire root ball gets enough moisture. Water that has been softened chemically should not be used at all because it contains some substances that are detrimental to plant life. Typically, plants in the outside environment experience an average 10 degrees Fahrenheit. Some flowering plants usually need a dormancy period before they flower. To induce this dormancy period, watering and application of fertilizer should be reduced during winter since light intensity is low. In spring, watering and application of fertilizers should be increased. Different plants require different light intensities. Some need less light, while some require constant light for 12 hours all year. Knowledge of the amount of light each plant needs is crucial for successful indoor gardening, for example, plants that need indirect light need to be put 3 to 5 feet away from a south facing window. To compensate for decreased light during winter, plants may need to be put closer to the windows. This entry was posted in Gardening on October 13, 2013 by admin. For plants to grow healthy and produce abundantly, good, healthy soils are needed. When garden soil is in excellent condition, the need for fertilizers and other inorganic substances reduces. Organic soil is usually rich in nutrients. This is occasioned by the presence of decaying materials like leaves and compost. Good organic soil is loose and usually, has air crucial to the plants’ roots. It is generally high in mineral content. Good garden soils also have earthworms and other small living organisms that assist in soil quality maintenance. Of the numerous elements considered to be essential for the growth of plants, potassium, nitrogen, and phosphorus (collectively known as primary nutrients) are the most important. This is mainly because plants consume them in large amounts. Fertilizers containing all three nutrients are labeled complete fertilizers, though, in real sense, other nutrients such as sulphur, calcium, and magnesium (known as secondary nutrients) may be missing. Both primary and secondary nutrients are essential for plant growth. Some plants, however, need more concentrations of some than others. It is, therefore, important to determine the nutrient distribution in your soil and compare that with the requirements for the particular plants you want in your garden. Other lesser nutrients include iron, boron, copper, zinc and manganese. The amount of minerals present in soil can be determined through soil testing. This test will highlight the minerals found in the soil and also those absent. These tests assist in the measurement of pH, magnesium, phosphorus, calcium, and nitrogen. PH level is crucial in determining how capable a plant is in absorbing nutrients. The convenient time to test soils is during spring. Soil testing also assists in determining the soil texture and type. Soil texture depends on the amount of clay, silt, and sand present in the soil. Sandy soils usually have bigger particles. As a result, they do not retain water and nutrients properly. They usually have low organic matter crucial for plant growth. On the other hand, clay soils do not drain water properly and can become very hard when it becomes dry. Clay soils have smaller particles, thus reduced space between the particles. This is a huge disadvantage since not much organic matter can be retained. Also, silt soils are considered dense and don’t drain water appropriately. So after testing and finding out that the condition of your soil, what can be done to improve the soil? Adding compost leads to the improvement of soils. 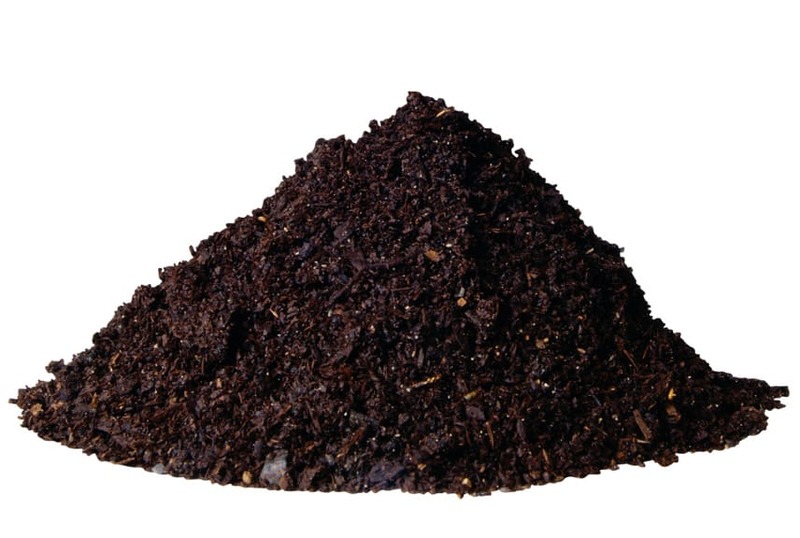 Organic compost can be purchased or homemade. Compost holds soil particles together and helps them retain enough water for the plants. Homemade compost can be made through putting together leaves, grass, livestock manure and food waste. Fertilizers add nutrients to soil whose nutrient capacity is reduced. Organic fertilizers release nutrients over an extended period of time as compared to inorganic fertilizers. A good example of organic fertilizer is livestock manure which I’ve used in my garden. Chicken manure is also highly nutritious for plants. The general perception on inorganic fertilizers, especially for organic/green gardening enthusiasts is that they are not conducive to living things and also the environment at large. Cover crops are plants grown to help in reducing erosion of soil by the wind. They also add nutrients to the soil. They suppress weeds and help fix nitrogen. Freshly cut cover crops provide nutrients for the microorganisms in the soil and also the plants. This entry was posted in Gardening on May 24, 2013 by admin.